Beams of negative pions, protons and the nuclei of helium and heavier ions such as carbon and argon, known as heavy charged particles, are of interest in radiation biology and radiation therapy because of several distinct physical properties (Wilson, 1946; Raju, 1980). As these charged particles pass through a medium, their rate of energy loss or specific ionization increases with decreasing particle velocity, giving rise to a sharp maximum in ionization near the end of the range, known as the Bragg peak 1 . The position of the Bragg peak is energy dependent (Raju et al., 1978). 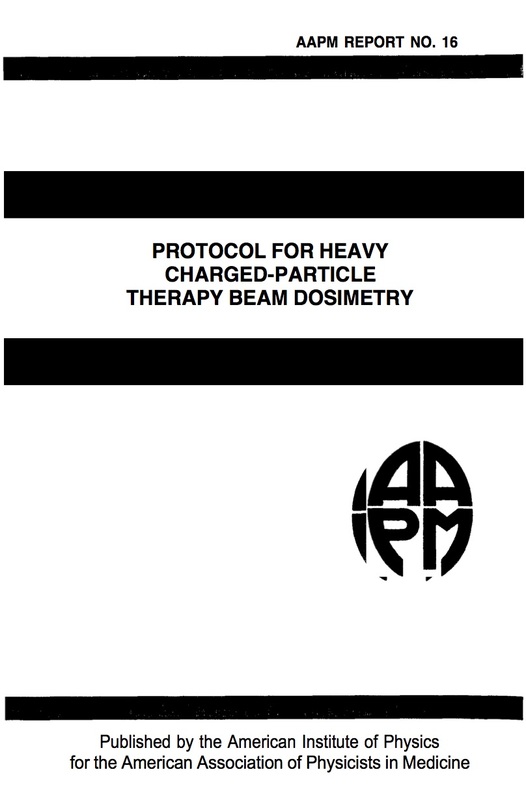 Proton, helium and heavier ion beams have been used for biomedical purposes since the 1950s (Tobias et al., 1952); pions have been used since the 1960s. Clinical trials using these beams are now in progress in several countries.